I vaguely remember being 17 and getting my done. What I do recall is that my parents went out of town the second night after. I guess they figured I would not be getting into any trouble with swollen lips and a lot of pain! While everyone has a different and The best way to recover from wisdom teeth surgery is to follow your oral surgeon’s instructions religiously. 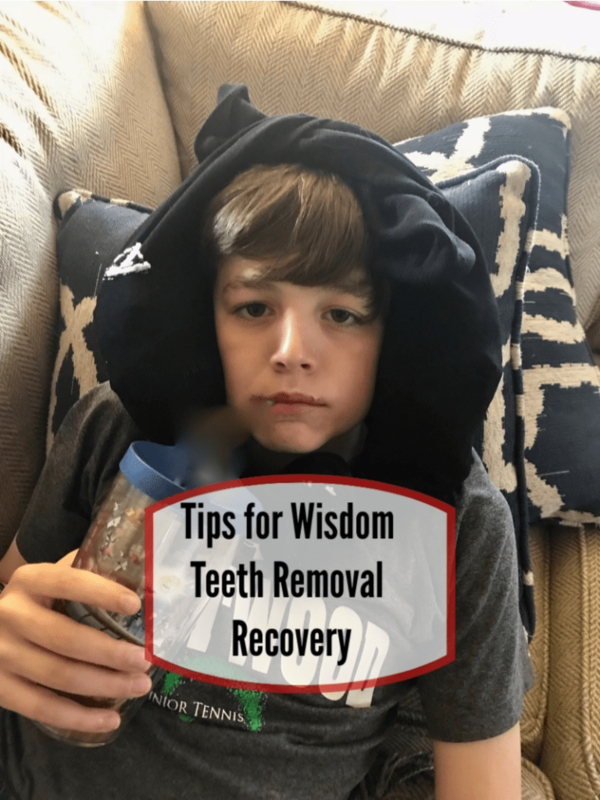 These tips Tips for Wisdom Teeth Removal Recovery seemed to help my child bounce back and create less stress on this mommy! Like most surgeries, The most important part is keeping the swelling down. We found that adding cold packs to soccer socks after tying the bottoms together. Gel ice packs work the best b/c they stay soft and do not cause extra pain to the patient. Simply tie the socks on the patients head and put a timer on for 20 minutes. It was suggested that we practice a 20 minute on 20 minutes off practice. He also tried peas and corn but he preferred the gel packs. Do your best to keep your child’s head elevated. Especially if they are just napping on the couch during the day. We had a lot of the following stocked up and ready to go. The first day they can only drink cold items so keep that in mind. Make sure food is not HOT! Nothing crunchy for at least 3 days. Like any surgery you need to get ahead of the pain. Everyone is different but these are some things that worked for my child. We did not do the pain medication. We brought home the prescription for pain meds but started with Tylenol and Advil. I was so relieved that this was enough for his pain. What a trooper. 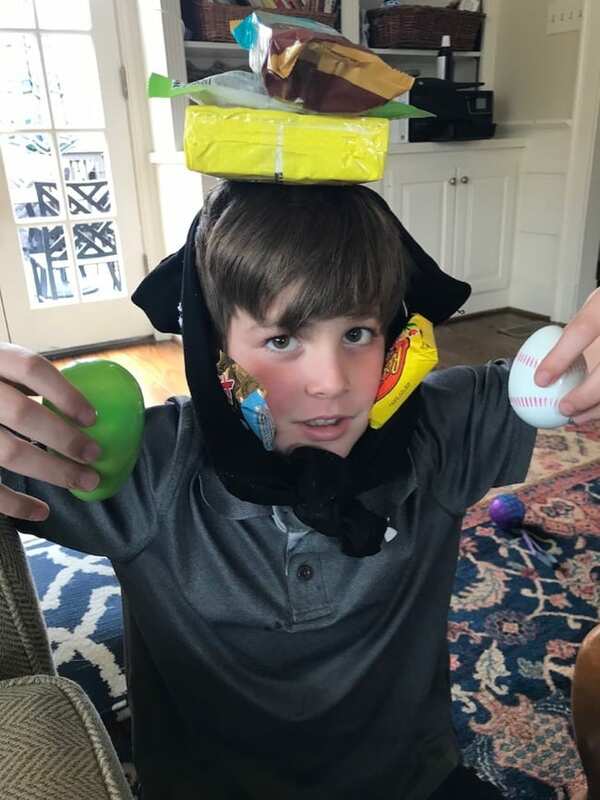 Easter was no ruined by the removal of his wisdom teeth.